The best value Pick n Mix Display on offer in the UK . be added to make this a 40 bin double sided walk round display. 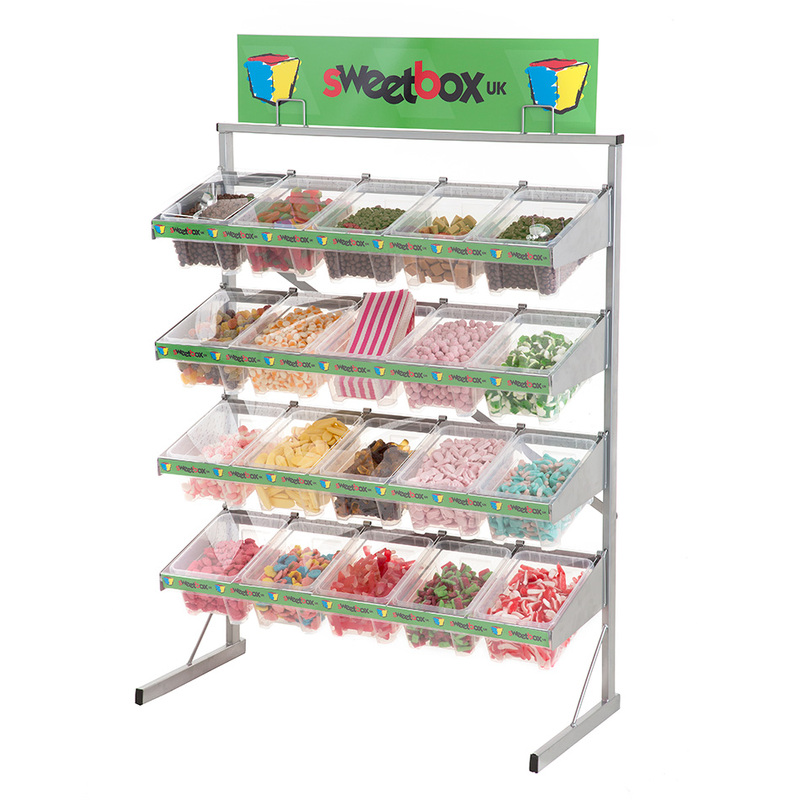 If you wish to add your own selection of sweets visit our Pick and Mix Sweets pages.